Stone is a dominant presence at Yosemite Falls, from the steep granite wall that towers above it to the massive boulder at its base. 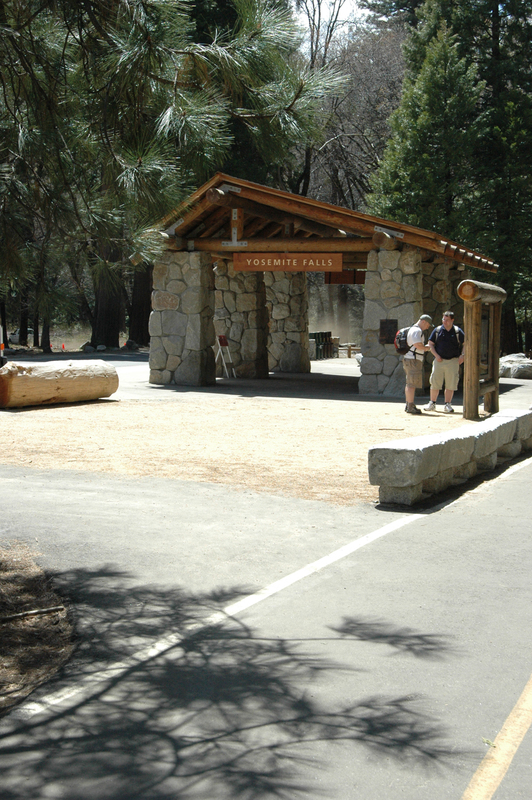 Accordingly, stonework was an essential component of Lawrence Halprin’s plan to restore the natural habitat and create amenities that blend seamlessly with the natural surroundings. Halprin hired QuarryHouse artisans to construct stone constellations directing visitors away from fragile forest and stream habitats. The crew built six walking bridges, an amphitheater, retaining walls, benches, a bus stop, and restrooms. A significant challenge of the project was emulating the 1930's stonework of Works Project Administration (WPA)-era masons. The resulting stone structures look as though they have been there all along, yet will last several centuries.